Certain requirements and limitations may apply. 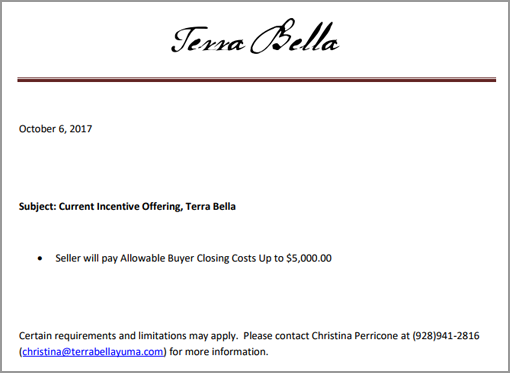 Please contact Christina Perricone at (928) 941-2816 (christina@terrabellayuma.com) for more information. I am Christina Gwynn Perricone. I was born and raised in Yuma, graduating from Yuma High School in 1988. I went on to study at Loyola Marymount University, graduating in 1992 with a degree in Urban Studies with an emphasis on Planning and Zoning. I have been active in the real estate industry since 1998, assisting buyers and sellers with residential, agricultural and commercial transactions. For the past ten years, I have focused primarily on representing buyers in the realm of new construction in our neighborhoods of Picacho and Terra Bella. 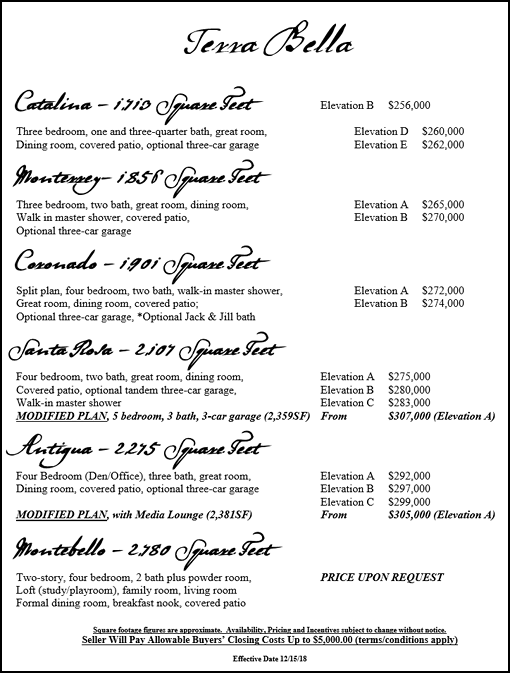 As a partner in Perricone Development Group II LLC (the development company for both Picacho and Terra Bella), I take great pride in the quality and value of our product as well as our unparalleled commitment to customer service.